Do you experience feelings of fatigue, extreme sadness or hopelessness first thing every morning? Perhaps these feelings fade as the day goes on, but they’re back again next morning. You could be experiencing a symptom of depression known as diurnal variation of mood, commonly referred to as morning depression. People experiencing diurnal mood variation feel worse in the morning but gradually improve as the day goes on. Hence the name morning depression. A specific cause of morning depression has not been clearly identified but there are thought to be a number of contributing factors. Some research suggests that morning depression may be a consequence of disturbed sleep-cycles or circadian rhythms, an internal body clock that signals, among other things, the sleep-wake cycle. Two hormones, melatonin and cortisol are important for this cycle. Melatonin helps you sleep while cortisol is released upon waking up. If melatonin is released during the day, you tend to feel tired and drained when you wake up. On the other hand, if cortisol is released during the night, you may suffer from disturbed sleep patterns. 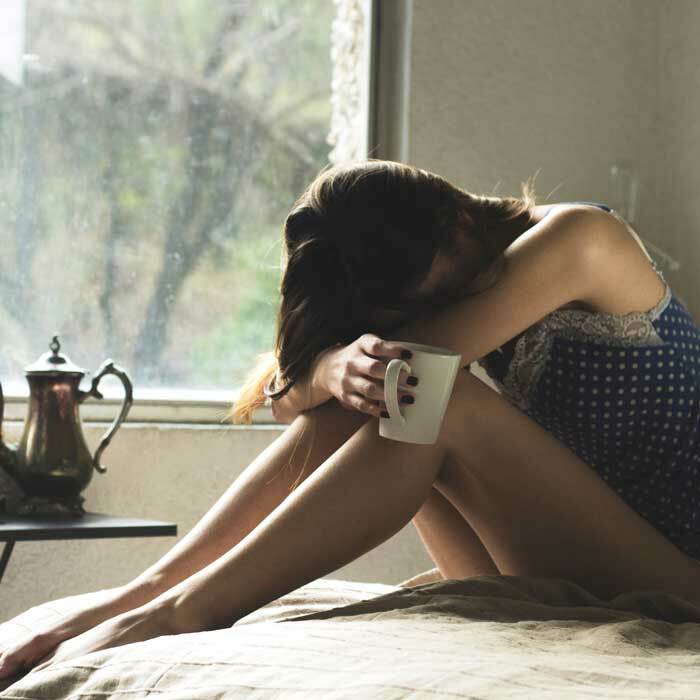 Other factors thought to contribute to morning depression include recent changes in life circumstances such as the break-up of a relationship or the death of a loved one, a family history of depression, medical conditions such as chronic pain, anxiety, and Attention Deficit Hyperactivity Disorder (ADHD) and substance addiction. If you are depressed, or think you might be depressed, it is important to consult a mental health professional for expert guidance. However the following coping strategies may help you to begin your day in a more relaxed and calm manner. Try to go to bed at the same time most nights. Wake up at the same time most mornings. Caffeine and alcohol are known to disturb sleep. It’s good to avoid these as bedtime approaches. Caffeine may be found in a number of foods including sweets and soft drinks. Electronic devices can stimulate rather than relax. If you are using devices, turn on ‘night mode’ at least one hour before sleeping. Rather than use your devices, try a relaxing activity before bed. For example, you could have a warm bath, read a book, play a musical instrument or practice mindfulness meditation. A balanced diet that includes an abundance of fresh food can greatly assist us to get the energy we need to operate at our best. Lack of good quality food in the right quantities can result in reduced blood sugar levels and worsened depressive symptoms. In the mornings, particularly if we are struggling with depression, we often opt for the easiest breakfast we can get our hands on (if we bother to eat at all). Often this will include processed foods or ingredients which may not have the same nutritional value as fresh, whole foods. It is important to eat a nutritious wholefood breakfast to bring our blood sugar levels back up to a level where we can function more efficiently. This helps to reduce tiredness associated with morning depression. Dark leafy greens such as spinach, watercress and kale are rich in folate, a water-soluble B vitamin. Low folate levels have been linked to depressive symptoms. Dark Chocolate -yes, dark chocolate (in moderation). Cocoa beans contain antioxidants that can lower the risk of depression. Other foods high in antioxidants include fruits and vegetables, nuts and whole-grains. Overall, research suggests that the more natural and less refined the food is, the more likely it is to help decrease symptoms of depression, while more refined, sugary and caffeine rich foods may have a negative impact on moods. Try a few stretches when you first get out of bed or as part of your showering and dressing routine. Waking up to chaos and confusion can intensify morning depression. You can reduce this by incorporating some morning preparations into your pre-bed routine. This can relieve you of some of the decisions you face in the morning as well as saving some time. As suggested above, decide what you’re going to wear, make breakfast preparations, keep your car keys and wallet/handbag in the same place. Include an interesting activity in your morning routine. This can help to get you going. For example, you could try listening to music, playing with your pet or reading for a short while. Choose an activity that rejuvenates your mind and helps you feel centred. Some of us have difficulty letting go of our thoughts as we sleep. As a result, they linger on in our psyche and force us to wake up to an avalanche of tumultuous emotions. Similarly, if you’re not happy with your reality, you may be averse in waking up to it every morning. For example, you may be dissatisfied with your marriage, income or job. You develop an inherent wish to avoid stepping into a stressful reality; essentially, we are in a state of denial and want to avoid facing our problems that seem to come rushing at us every morning. It can be extremely draining to have to go through these emotions every morning. However morning depression can be managed. Proactively implementing effective coping strategies can help overcome the condition and wake up to exhilaration and vitality. Greg is the director at Counselling in Melbourne, a private counselling practice in Melbourne, Australia. Greg has been involved in the medical profession for many years, and has immediate family members who also have also chosen careers in the medical field such as Theater Nurse, Midwife Sister Paramedic, GP and Oncologist – Counselling in Melbourne was a natural fit. Greg strives to help clients achieve long lasting change using various approaches, therapies, and treatments. One of the best posts on beating morning depression …simple and practical. Thank you Nick. You Rock.